Anthropologies sells some gorgeous stuff, but some of my favorite items in their store aren't for sale. They are the elaborate decorations that they display in their windows and they are typically all handmade. I love when I find tutorials to replicate them, like this Antrhopologie inspired scroll garland. And it is even better when it only requires paper, a stapler, and paper clips to create. 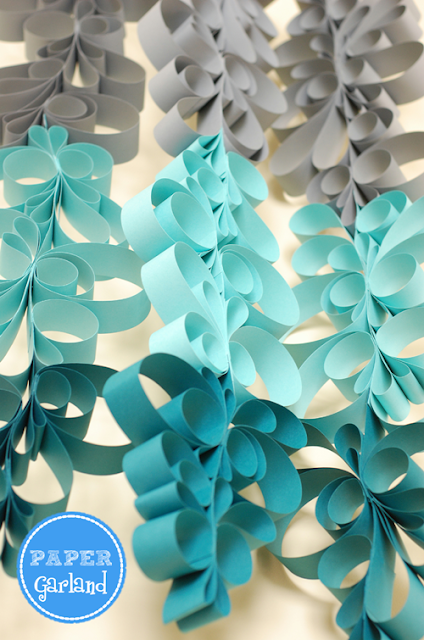 This paper garland would make an amazing backdrop for any party, but it is almost to pretty to take down. I would bet you a million dollars my oldest daughter would want to hang it in her bedroom and I wouldn't blame her! You can check out how to make a paper scroll garland over at Bird's Party Blog.